This colorful store is in the Kensington Market. Toronto's Victorian style homes are converted into stores. This funky bright blue shop displays many items for sale. Large area rugs hang outside of the store front. 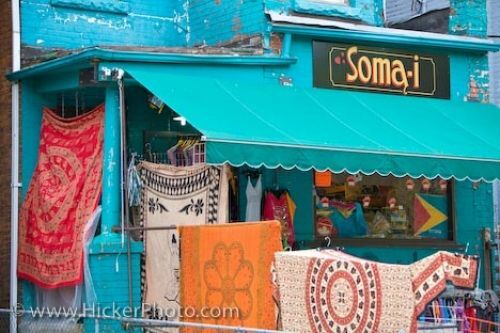 Colorful funky shops inhabit the Victorian style house of the Kensington Market in Toronto.